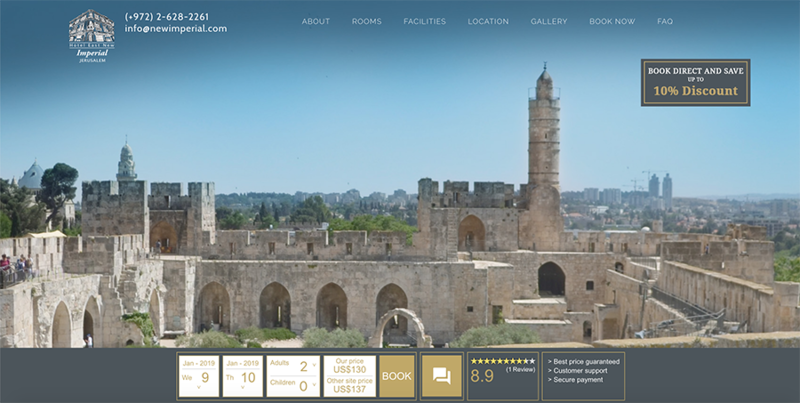 The famous New Imperial Hotel is located in the historic building overlooking Jaffa gate in the heart of Jerusalem. The hotel is becoming one of the hottest spots for tourists in the Middle East, it’s almost all year long at full capacity, and reached out to me to create its official website while capturing the signature look and atmosphere. I created a one-pager website with a direct integration to the hotel’s booking system (2018).